Valentine’s Day may have passed, but romance lingers on in Shoreditch. On Saturday, February 23rd Shoreditch resident, Phillip Burton unveiled a 60 sq. 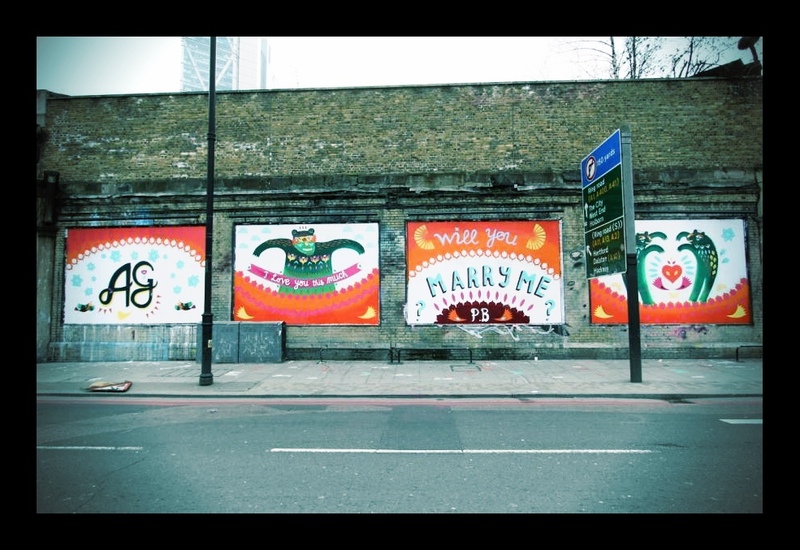 metre marriage proposal to his fiancé as they casually walked passed Shoreditch Art Wall. They say romance is dead, not for this couple, and even more importantly, she said YES! The ‘proposal’ art was created by artists at the CAN Network (www.can.is). If you haven’t already make sure to go see this!